With our horizontal curb saws we are able to accommodate all your residential and commercial needs including driveway entrances, ADA ramps, parking lot modifications, access ramps and any other curb cutting needs. Why use a Horizontal Curb Saw? Prior to the design of the horizontal curb saw, installing wheelchair ramps and driveway approaches was labor intensive and time consuming. It could take days to complete. The horizontal curb saw eliminates the need to remove and replace the curb by making longitudinal cuts through the concrete at variable angles. 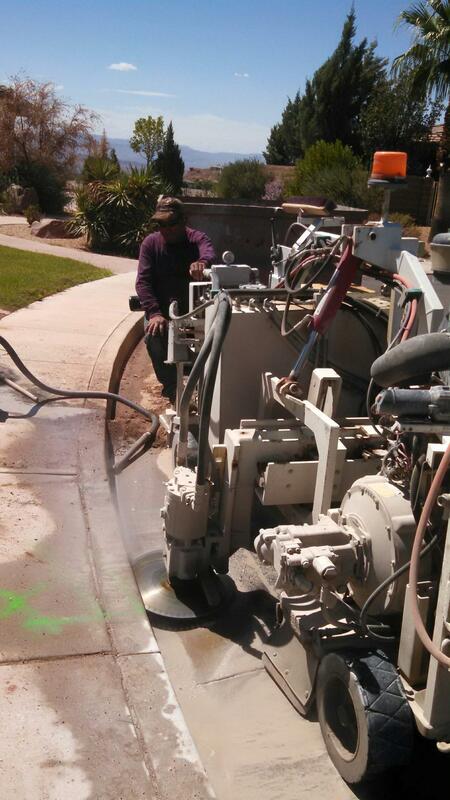 This saves time, labor, and materials allowing Trueline Cut N Core to get your approaches complete quickly so you can move on to the job of pouring the concrete. PO Box 356 St George, UT 84771.